Is this glittering Duchess one of the best connected women of the Tudor period? Married to Henry VIII’s best friend, close friend of Catherine Parr and eventual custodian of Lady Mary Grey, this well-connected woman was an ever present player in crafting the Tudor landscape we know today. Living at the royal courts of King Henry VIII, King Edward VI and later, Queen Elizabeth I, there would have been very few noble people this woman was not tied to. Her name is Catherine Willoughby (22 March 1519 – 19 September 1580), later to become Catherine Brandon, Duchess of Suffolk. If you know anything about Tudor history, or are even a fan of the bodice-ripping TV show, it’s likely your ears have pricked at the mention of Brandon. Catherine was the fourth wife of Charles Brandon, 1st Duke of Suffolk, brother-in-law and friend of King Henry VIII (the one who chopped the heads off two of his SIX wives!). 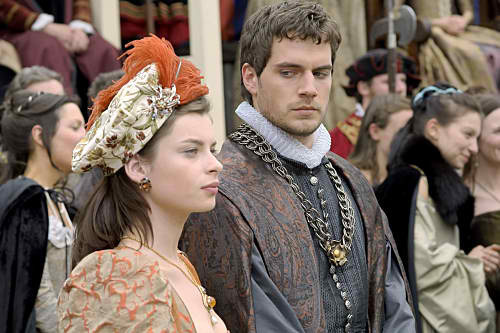 Charles Brandon, Duke of Suffolk, was Catherine’s legal guardian during his third marriage to Mary Tudor (King Henry VIII’s sister), but when Mary died in 1533 Suffolk and Catherine wasted no time in getting married. Although Suffolk was forty-nine and Catherine only fourteen, the marriage was a successful one, and they went on to have two sons. As Henry VIII had made his sisters descendants the next heirs to the throne after his own children, the marriage bought Catherine into the extended royal family. As prominent members of the court The Duke and Duchess of Suffolk officially greeted Anne of Cleves when she arrived in England in 1539 to marry the King, and in 1541 they helped arrange a royal progress for the King and his next Queen, the naughty Catherine Howard. The Duchess of Suffolk was noted for her wit, sharp tongue, and devotion to learning. In the last years of Henry VIII’s reign she was also an outspoken advocate of the English Reformation. A close friend of Henry’s last queen, Catherine Parr, particularly after the Duke died in 1545, she became a strong influence on the Queen’s religious beliefs. In 1546, as the Queen’s religious views grew controversial and the King ordered her arrest, the Duchess was instrumental in managing to persuade the King to cancel the arrest warrant to save the Queens neck. Incredibly, there were even rumours that Henry considered marrying Catherine and making her his seventh wife while he was still married to Catherine Parr…thankfully Catherine successfully escaped the executioner’s blade. 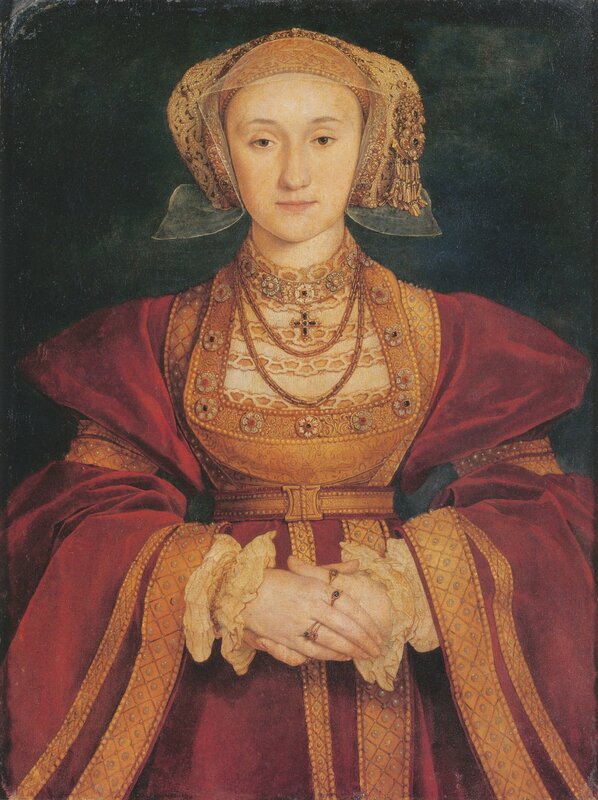 Shortly after King Henry died, Catherin Parr remarried to Thomas Seymour, but tragically died only a few days after the birth of their daughter. Thomas took off to London with his new baby daughter, however, months later he was arrested, tried, and executed for treason. His daughter, Mary, was left an orphan aged only seven months. The Duchess of Suffolk was appointed guardian and was entrusted with her custody. The Duchess was finding it hard to support the young infant so she wrote to Sir William Cecil, chief advisor to Elizabeth I, asking for funds. In January 1550, an act in Parliament was passed restoring Mary to what was left of her father’s property. Following this success the daughter of King Henry VIII’S last queen seems to disappear from history. Years later, the Duchess also became the custodian of perhaps an even more prolific woman caught in the ‘Game of thrones’; one of Charles Brandon’s step-granddaughters, Lady Mary Grey. Alongside glittering high-society, Catherine suffered her own tragedies. As well as losing her husband at a young age, in 1551 she lost her sons, both students at Cambridge, within an hour of each other of the sweating sickness. Four months afterwards, attempting to reconcile herself to this personal tragedy, Catherine wrote to Sir William Cecil that ‘truly I take this [God’s] last (and to the first sight most sharp and bitter) punishment not for the least of his benefits, in as much as I have never been so well taught by any other before to know his power, his love, and mercy, my own wickedness, and that wretched state that without him I should endure here’. Looking to the future, Catherine married for a second time to Richard Bertie (25 December 1516 – 9 April 1582), a member of her household, out of love and shared religious beliefs, however she continued to be known as the Duchess of Suffolk throughout her life. During the reign of Queen Mary 1 in 1555, as an outspoken supporter of the English Reformation, the Bertie’s were among the Marian exiles forced to flee to the Continent to avoid persecution. After their safe return to England a few years later, they lived at Catherine’s estate, Grimsthorpe in Lincolnshire, and at court. By Richard Bertie, Catherine became a mother again to Peregrine Bertie, who married Mary de Vere, only sister of the whole blood of Edward de Vere, 17th Earl of Oxford, and of Susan Bertie, who married firstly, Reginald Grey, 5th Earl of Kent, and secondly, Sir John Wingfield, a nephew of Catherine’s friend – and a woman of similar notability – the shrewd, and enormously wealthy, Bess of Hardwick. Let me know in the comments if you’d like me to write a piece about this other fascinating woman from the Elizabethan period? If Venice Be The Food of Love…Then I’m Stuffed!